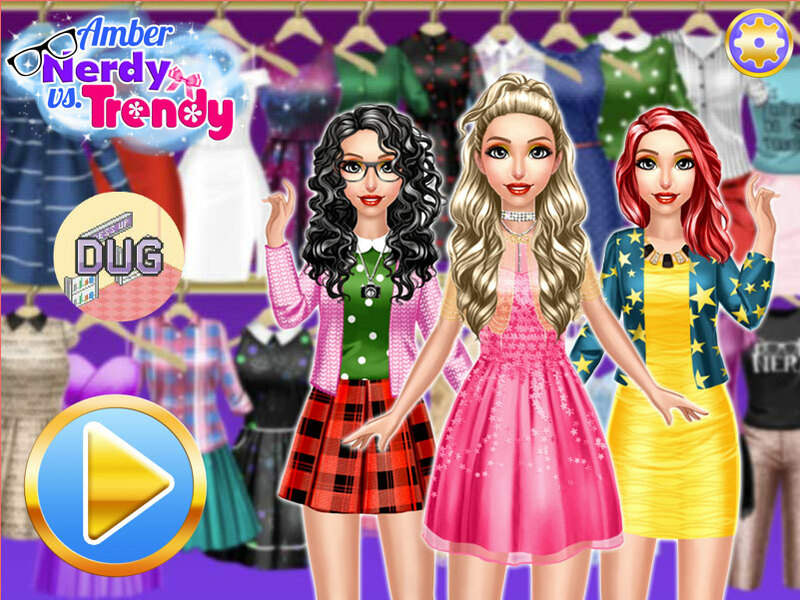 The game "Amber nerd vs. fashionistas" invites you to find out how the style of botany differs from the fashionista. At the beginning of this dress up game you will create an amber look for a botany girl, and then for a fashionista who likes to spend time in nightclubs and at various parties. After that, you can compare which level is steeper and which of the girls is more spectacular. At the third stage of the game, you can create a couple more outfit ideas for a botanical girl who loves the bright amber outfit and doesn’t mind hanging out with her friends. Agree that this is not an ordinary game and you will definitely like it. And if you like dress up games, then I want to offer you a few more games that will enthrall you and you will spend interesting time creating a fashionable image. A new look for nerdy girl. A cool outfit for trendy girl.